Century City Criminal Defense Lawyer | Taub & Taub, P.C. 24-HOUR AVAILABILITY You need a defense that never rests. Get the legal answers you need now! Criminal charges can wreak havoc on a person's reputation, finances, and relationships. At Taub & Taub, P.C., when your freedom and future are on the line, we have the experience you need. Our criminal defense firm in Century City is headed by a former prosecutor, bringing unparalleled insight into the prosecution’s strategies and how to counter them. 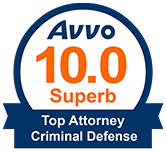 Backed by this experience, Attorney Taub delivers awarded defense, earning a spot in The National Trial Lawyers: Top 100. This prestigious, invitation-only organization recognizes the leading civil plaintiff and criminal defense lawyers across the country. Based on strong peer reviews, objective third-party scrutiny, and legal successes, Attorney Taub is considered one of the best defense attorneys in Southern California. Our Century City criminal law firm has handled all types of criminal cases — we know how to get your charges reduced or dismissed. In fact, we have proven this tenacity and legal skill on trial, and we have successfully launched appeals to reverse a conviction. When you work with an experienced criminal defense lawyer at our firm, you can know that we will work 24/7 to build the strongest possible defense. Our firm serves clients in Century City, Woodland Hills, and all of Southern California. We would be more than happy to review your case and discuss your legal options. Contact us today! Have a Former Prosecutor on your side! 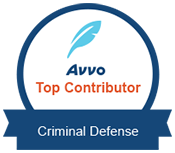 We can’t overstate the value of building your defense with a prosecutor’s insights. Having won at trial from both sides of the courtroom, Attorney Taub can scrutinize your case from every angle. This matchless perspective and irreplaceable experience gives you the leading edge in the courtroom. The legal process was seamless as he worked diligently to lower my charges for a positive result. His solid knowledge and integrity, along with his aggressive approach to working for his client's best interest, have given me the confidence to pursue the many options his firm has offered me. Mr. Richard Taub was professional, a wonderful communicator, with a great staff and he actually cared to win. The legal team at Taub & Taub, P.C. is here for you around the clock, ready to take your call anytime, day or night. Our attorneys give substantial time to clients, providing accurate information and direct lines of communication to make each case as simple and stress-free as possible. To be charged with a crime is a scary experience, but with the representation of a Century City & Woodland Hills defense attorney from our team, you can find comfort in having an aggressive lawyer on your side. Woodland Hills and surrounding areas.